European Commissioner for Transport Violeta Bulc and the Directorate-General for Transport and Mobility (DG MOVE) are inviting transport stakeholders to discuss first insights from a study on sustainable transport infrastructure charging and the internalisation of transport externalities. 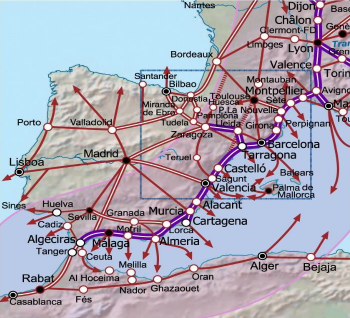 Cómo hacer compatible el transporte de mercancías y de viajeros en las regiones urbanas. Primera trobada professional estatal QVM, amb l'objectiu d'identificar accions a desenvolupar per incrementar la quota ferroviària i superar el 3% modal. Esdeveniment gratuït, prèvia inscripció. Reservat a professionals. Aforament limitat. The main topic of the Forum, organized by FERRMED and to be held in Brussels on November 21st and 22nd, will be 'Trans-Eurasian Silk Road Railway land bridge: New challenges in infrastructure routes, operation and rolling stock'. 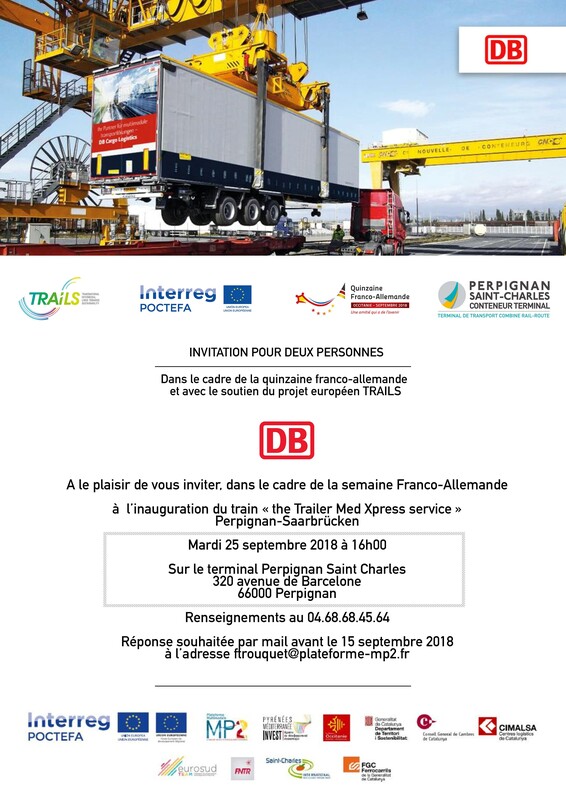 El dimarts 25 de setembre es presentarà el servei Trailer Med Xpress que la companyia DB Cargo ofereix 5 vegades per setmana entre Perpinyà i Saarbrücken. El dimarts 30 de gener el CSM presenta públicament els resultats del pla d'activitats 2017 i les accions previstes per 2018 a la Casa Llotja de Mar de Barcelona. The main purpose of the Conference organized by FERRMED is to promote a significant competitiveness improvement in the Eurasian trade and manufacturing processes, through a high performance “pipeline” Trans-Eurasian Railway Land Bridge.